If you hadn’t heard of Allegiant before this incident, you’re not alone. It’s one of a handful of new-ish, “ultra low cost” airlines moving into mid-sized, under-served markets, often linking them to sunny vacation destinations like Las Vegas or Florida. Allegiant makes no secret that they’re no-frills, but there’s a growing chorus of people, including some pilots, raising concerns about the company’s bare-bones business model’s safety considerations. Allegiant began offering flights out of Pittsburgh International Airport in February 2015, inaugurating itself with a “tacky tourist” dress-up promotion. A year later, it added its nonstop route to New Orleans, the first one from PIT in a decade. It now flies to 11 cities, making it Pittsburgh’s fourth-largest carrier behind American, Delta, and Southwest in number of total destinations. Bob Kerlik, vice president of media relations at the Allegheny County Airport Authority, said the airport has a “good relationship” with Allegiant. The airport authority believes it’s important to offer low-cost options to its passengers, Kerlik said, adding that Allegiant will be joined by fellow ultra-low-cost Frontier Airlines later this month. A low fare to New Orleans was enticing for Dan Barrett, and in January he purchased Allegiant Air tickets for himself and a group of friends [including The Glassblock editor and publisher Adam Shuck]. On the day of the flight in March, they arrived at the airport with plenty of time to spare, but about an hour before the flight’s scheduled departure, Barrett received a text message saying it would be delayed by an hour. “But then we got to the gate and everyone was looking sad and dejected,” he says. The plane had not arrived, the flight had been officially canceled, and Allegiant wasn’t going to pay to put passengers on other airlines’ flights. It did not have another flight that day on the Pittsburgh-to-New Orleans route. “The trip was ruined,” Barrett says. “We were only going [to New Orleans] for three days, so we decided to just leave.” He says Allegiant personnel told him they were unable to process his refund at the airport, and that he could get his money back by calling the company’s customer service department. It took several, half-hour phone calls before he got a refund—though it was partial, covering the cost of the ticket only, as baggage fees and a mistaken cancellation fee were still on his credit card. Customer service reps told him they wouldn’t be able to send him an email confirming that he’d get his money back. Allegiant spokesman Brandon Myers said Monday there was an “initial error” while processing Barrett’s refund. But Barrett says his credit card statement shows he’s still about $100 short of what he has paid Allegiant. “[Allegiant Chief Operating Officer Steve] Harfst and others at Allegiant said they don’t spend time worrying about what the media says about them. But something Allegiant officials recently installed on a wall at their headquarters indicates otherwise. It’s a big monitor showing how Allegiant is faring in real time on social media. Blue dots displayed on the screen represent positive online mentions, while red ones show the negative. The bigger the dot, the larger the influence of the social media source. Three months later, Harfst resigned as COO in a move that was called “abrupt” and which the Tampa Bay Times connected to safety concerns. “We thank Steve for his contributions to Allegiant,” said Maurice Gallagher, Allegiant CEO since 2001. Gallagher has a history in the airline industry; he was co-founder of the now defunct low-cost air carrier ValuJet, a company known for a 1996 crash in Florida that killed all 110 on board. 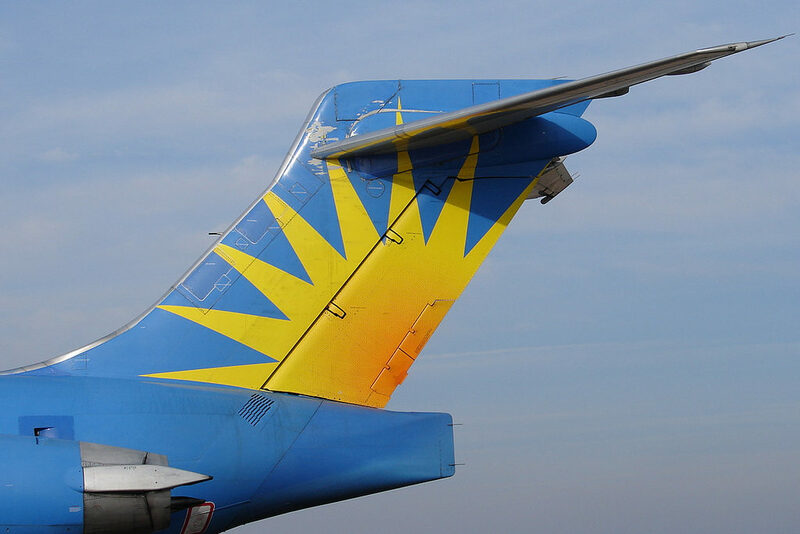 Allegiant Travel Company, the airline’s parent company, is healthy from an investor’s point of view. Last year, it raked in a net income of $220.4 million, more than twice its 2014 net income of $87 million, according to its full year earnings release. And in its first-quarter 2016 earnings report, Allegiant saw net income of $72 million, which is a nearly 13 percent increase year-over-year—in fact, the quarter that ended March 31 was its 53rd straight profitable one. Late last month, the Federal Aviation Administration told the Tampa Tribune it had moved up Allegiant’s routine five-year evaluation. It will take place later this month rather than its original scheduling in 2018. Allegiant spokesperson Myers said Pittsburgh has been a good market for Allegiant, noting that the airline designated the airport a base of operations in December. “It’s a market that grew quickly for us,” he said.